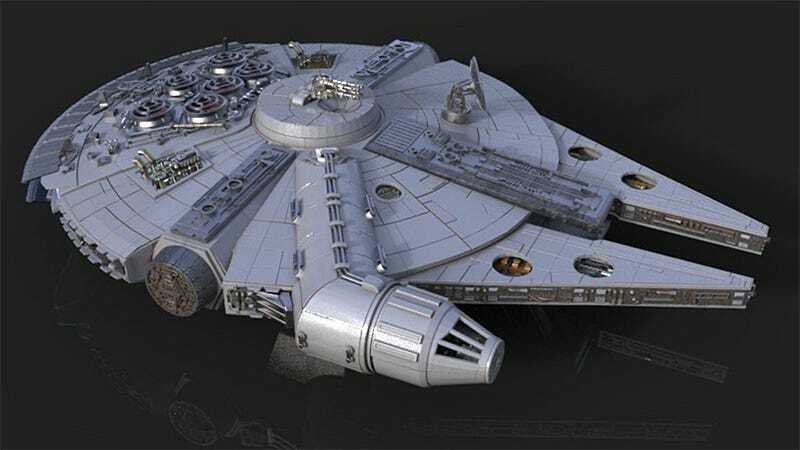 You’d need a massive, and prohibitively expensive, 3D printer to create this 40-inch long Millennium Falcon replica in one pass. So the folks at Gambody have broken the model down into 236 bite-size pieces that most affordable 3D printers can easily handle. All you need is lots and lots of time. Gambody’s Falcon is not unlike the plastic model kits you built as a kid. And as for those patient gluing skills you perfected when you were younger? They’ll come in handy again here, because once all the tiny parts have been printed, you’ll need another month to assemble and glue them all together. The assembly instructions video alone will take you ten minutes to watch all the way though. Given all the detailed modeling work that went into the creation of this 3D replica, it’s understandable that Gambody is asking $75 to download all the model files so you can print them at home. You’ll still need to supply all the raw filament, glue, and manual labor to assemble it. There are some shortcuts you can take, though, to speed up the build. If you don’t intend to ever open the model, you can skip 3D printing all of the detailed components that make up the Falcon’s interior. And if you have access to modeling software, you can even shrink the dimensions of all the 3D files so you’re left with a smaller Millennium Falcon, but also considerable less printing time.